What I love about Cebu is that I can enjoy both the city and the beauty of its nature. I can escape from the city in a few hours and have an adventure the whole day. Just like this day hike in Mt. Naupa. 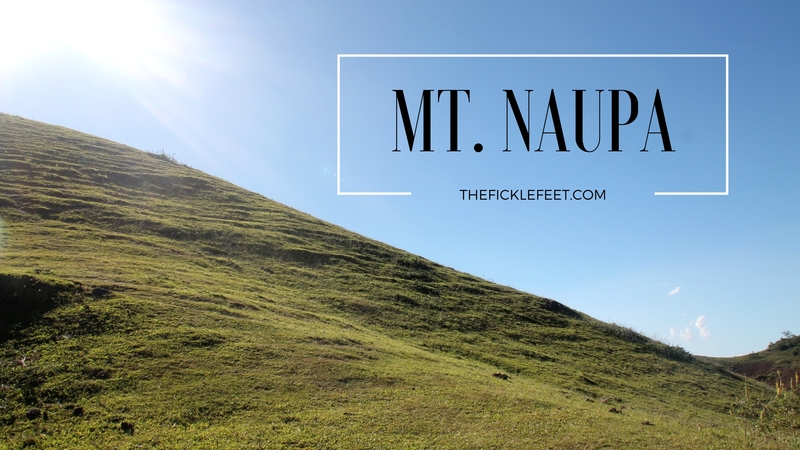 Mount Naupa is a 1,916ft / 584m mountain peak. It is the highest peak in Naga City. It is an easy climb and I’m sure anyone can do it. Even beginners. You don’t believe me? Meet Mae. She is the daughter of our guide, Sir Jude. She was with us during this adventure. This climb was organized by Marj. I met her during our Agrao escapade, two years ago. That’s the beauty of travelling. You can meet a lot of people that will definitely help your wanderlust cure or make it worse. She’s also an adventure junkie. Go check her blog Dakilang Laagan. Like what I said earlier,it was easy. It only took more than an hour to reach the summit. Also, our hike was an ideal time, since we were there to chase the sunset. We had a good amount of rest and took a lot of pictures. We also had fresh coconut juice! What we did? Since Naga is not too far from Cebu. We went there via Jeepney. It takes two rides to get to our meetup place at Tungkop. From Tungkop (Tinong’s Bakeshop) take a motorcycle/habal-habal to Cogon Chapel for Php70.00(back and forth). Have you ever tried hiking before? Where? Tell me about your experience! Just comment below. You like day hikes? Try Osmeña Peak and Mt. Mauyog. Also, follow me on Facebook and Instagram! Hehe! Sure you can. 🙂 You can always get in touch/chat with through our FB page.